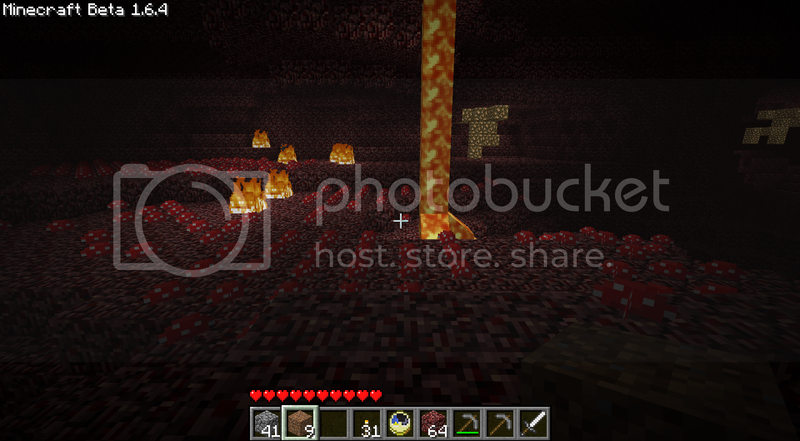 For future reference guys, never leave the server while in the Nether. So, why was Pat getting his knickers in a twist about people leaving doors open? Because creatures got into his house. It's in the very same post. Or you could ask him yourself. Not like he isn't present. Why do we have doors? To keep monsters out. Don't leave doors open, they're there for a reason. Yeah, we also have torches to keep monsteres from spawning inside houses, and yet most people don't put enough torches inside, you included. I've never had monsters spawn inside my buildings. However, I have had monsters inside my buildings before. And every time that happens, there's always a door (sometimes two or three) left wide open. So don't try to turn this around on me. I like the nether regions. I like it when two nether regions collide in a spectacular display of light and heat. They tell me I need to see a doctor about it. When I was young and skinny all it did was result in a bruised pelvic bone or two. Oh, and is multi-player insanely unstable or is it just my bad luck? It's been pretty stable for me the whole time so far.